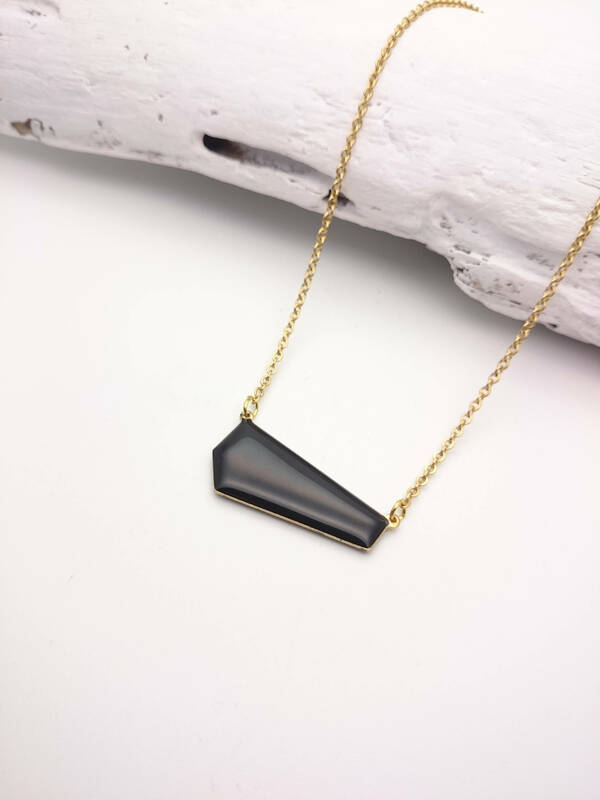 Black enamel asymmetrical geometric necklace//Black necklace gold stainless steel chain//Modern Minimal Black hypoallergenic necklace. 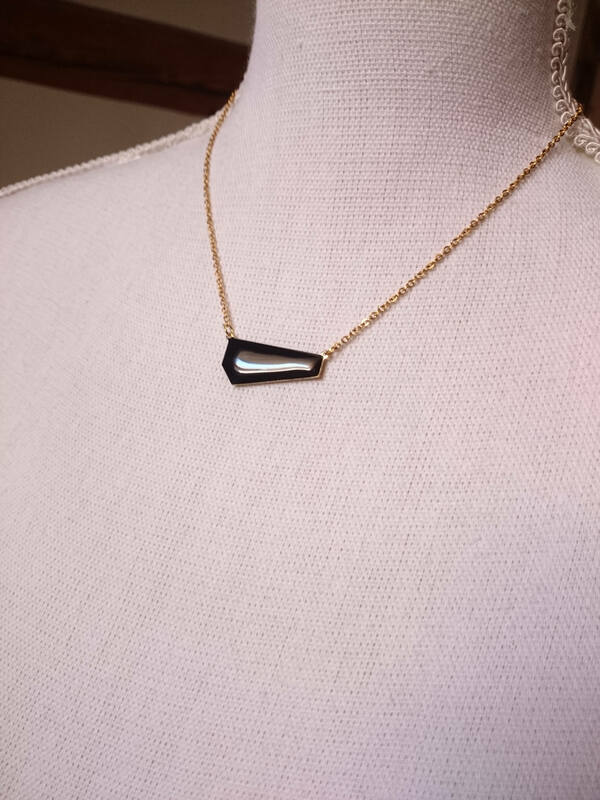 I made this necklace with an asymmetrical brass pendant enameled with black shiny color and a gold stainless steel 316L chain. 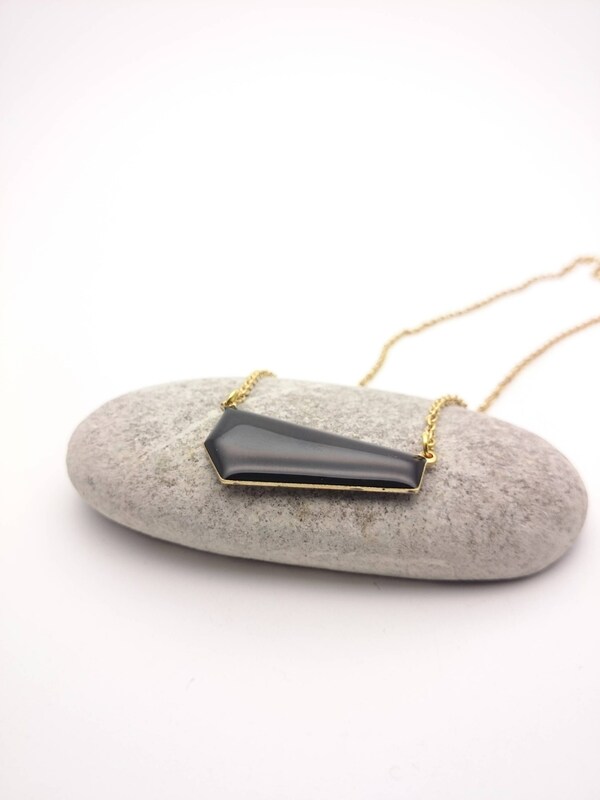 Hypoallergenic necklace for those with sensitive skin and metal allergies. The chain is 18 inch long and 2 mm thick. 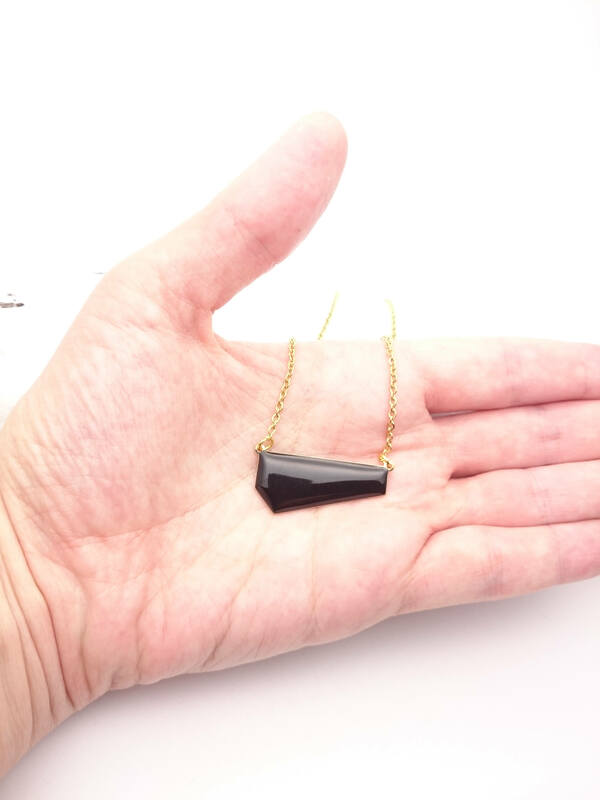 The pendant is 30 mm wide and about 15 mm high. 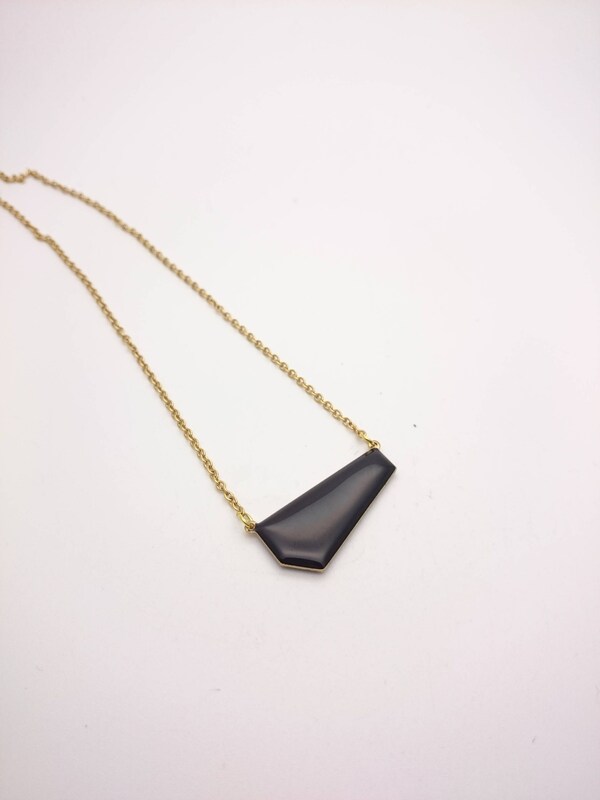 The pendant is enameled on both sides.